Design Label ‘Celestial Pehnawa’ exudes style, elegance and luxury. It is, rather a timeless appeal of fine workmanship that truly pleases the style connoisseur. Celestial Pehnawa has been weaving hopes and dreams into intricate motifs & embellishments in the form of indigenous embroideries, classy use of rich colors and varied fabrics of high quality. Brain child of Ace Fashion Designer Pawandeep Kaur ‘Celestial Pehnawa’, fulfills the clothing needs of modern women in all spheres of life and makes them feel special and rejuvenated. It can make the pretty look beautiful and the beautiful look exquisite. Transcending all boundaries, these beautiful pieces inspire one to love oneself and look class apart in a gathering. Located in North of Delhi is their flagship store which gives the most quintessential shopping experience and going strong since 2001. The store showcases a variety of high-end clothing options and features their latest signature designs. The In-house workshop of more than 40 team-members, gives the privilege of designing custom made dresses for each and every occasion. Celestial Pehnawa (Atlanta, USA), is headed by Puneet Kaur; who has done Bachelor in Clothing and Textiles and is an artist with a great aesthetic sense and her own style speaks volumes. Due to her immense talent and hardwork, she has brought Celestial Pehnawa into the limelight of fashion forecast of Indo-Western Attires. Going strong with various exhibitions and fashion shows in pipeline. Celestial Pehnawa (New Delhi, INDIA) is headed by our Dynamic Designer Master Mind Mrs. Pawandeep Kaur, who has done Masters in Clothing and Textiles and holds a fashion degree from IIFT which helped her understand fashion trends around the globe. 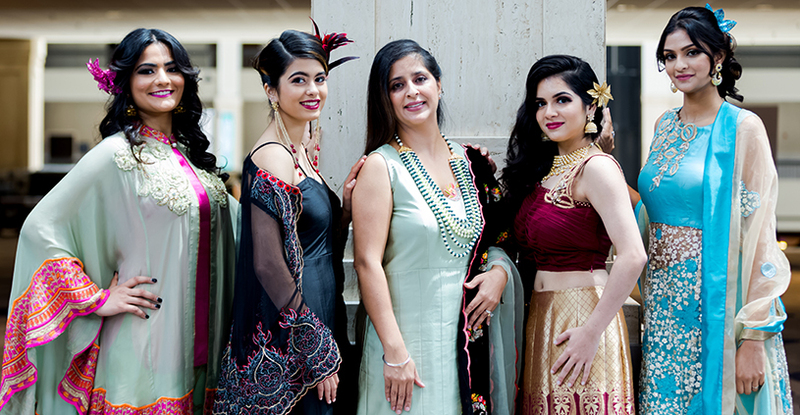 But surely it takes much more than a degree in fashion to translate the exuberant charm that India’s rich culture offers and Pawandeep Kaur is certainly an expert in this with her ability to express, understand and paraphrase the quintessence. While designing she pours her heart and soul into her imagery; when she designs, it is not just fashion, it is an art. Only a fusion of soul and expert technique can produce such fine craft. Like the icing on the cake, Pawandeep is well supported in all her endeavors by her dynamic sister Kiranpreet Kaur. Kiranpreet has done M.Sc. and M.Phil in Human Psychology which helps in transforming dreams into reality. The elegant duo makes an inspired and dedicated team who compliment each other perfectly. 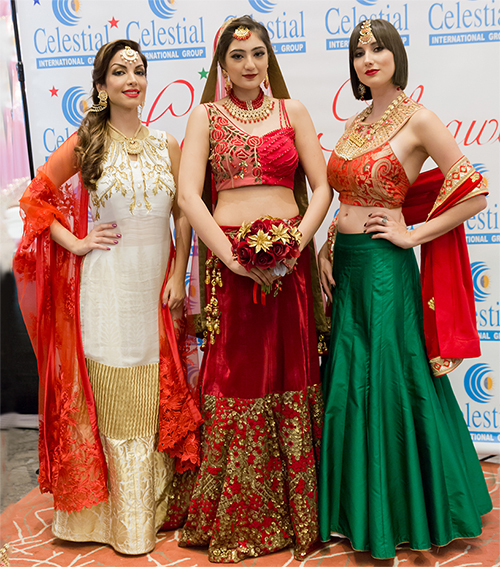 Celestial Pehnawa (Edmonton, CANADA), is headed by Arshdeep Gill; who is a marketing diva, with a great sense of fashion. Our latest classic and contemporary collection has been displayed through regular fashion shows and exhibitions in Canada. Celestial Pehnawa has made a name for itself in canadian market with its distinctive style. With a distinctive advantage of made-to-order customization service, Celestial Pehnawa enjoys diverse patronage from clientele in domestic and overseas market.